I have this amazing friend. You know, the kind who is pretty much good at everything and makes it all look really easy? 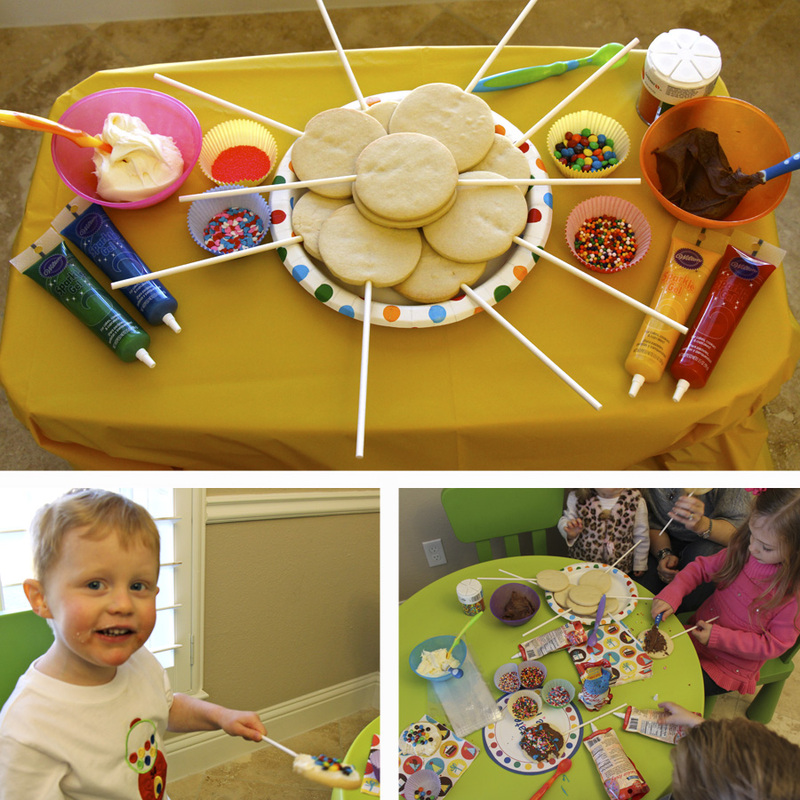 She has a three year old and one year old twins, and while I struggled to keep up with my ONE child… she created an amazing birthday party for the three of hers. Thankfully she’s letting me share it with you! 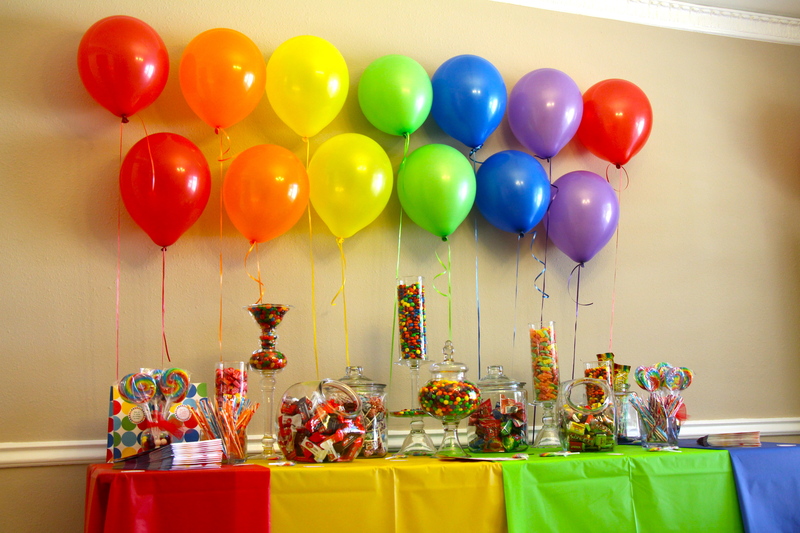 For some reason the candy theme was difficult for me. I went through a LOT of ideas when I creating proofs for her. This one was my definite favorite, so I was super happy to hear that it was hers too! (Yep, that’s right. It was back in March. Over 4 months ago now, and I’m just now getting a chance to blog about it. Sometimes I try to channel her energy, but then I get tired just thinking about it…. so I usually just take a nap instead.) Okay, back to the party. 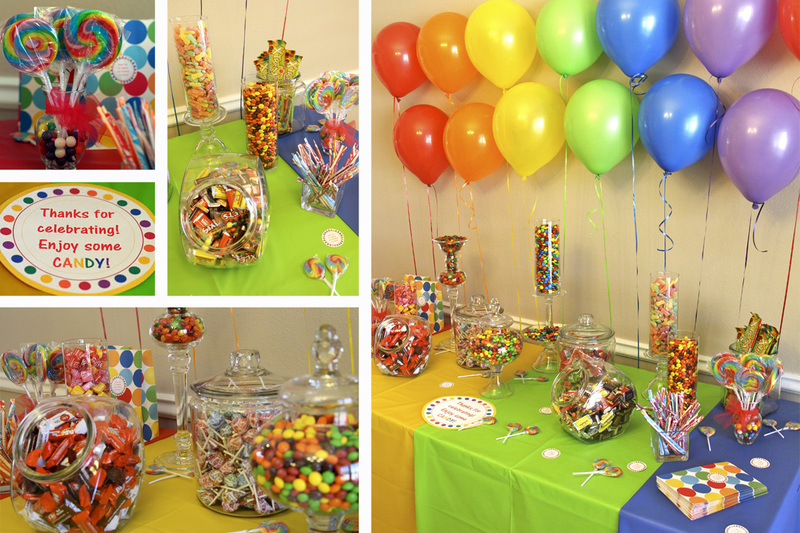 What better way to celebrate a candy birthday party than with a candy bar?!? I’m fairly certain the adults were as excited about this as the kids were. That was for the favors of course, so in the mean time the kids were able to get their sugar fix decorating their own cookies. 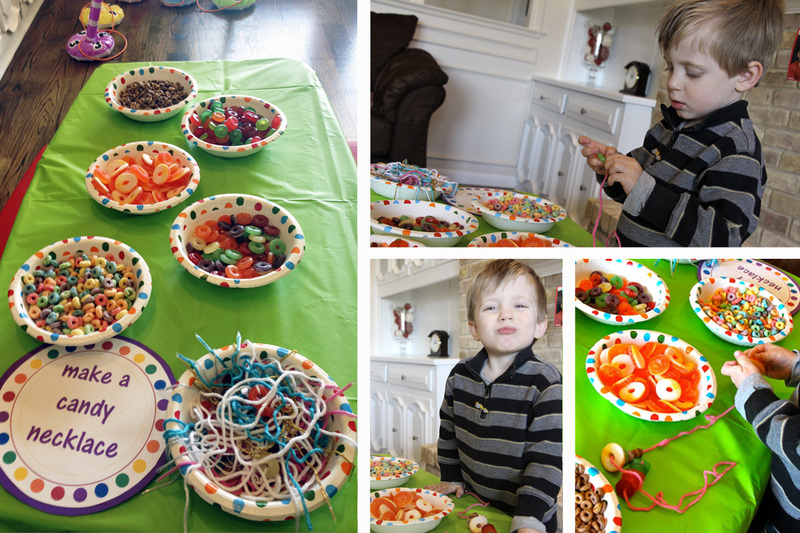 My little man is the one making the candy necklace in these photos. Based on his face in the photo above (and the TWO cookies that he bagged up to take home) I think it’s safe to say that he approved! 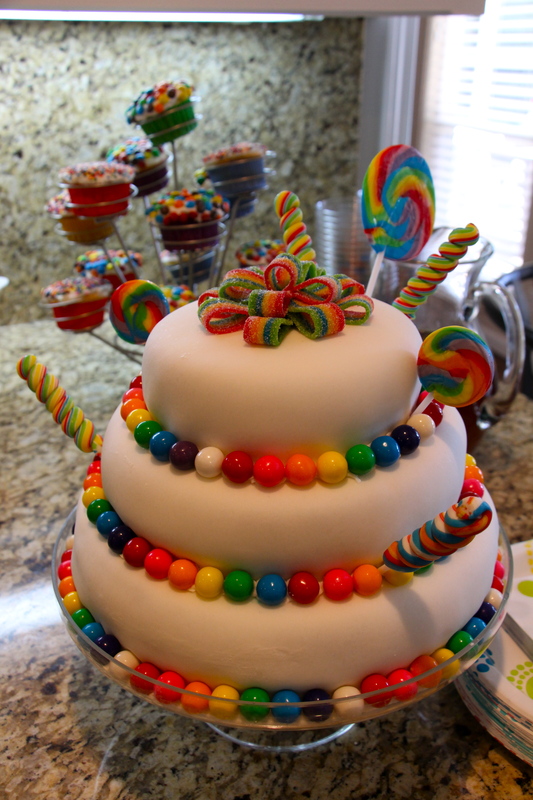 Now, take a look at this cake. Looks completely profesh, right? 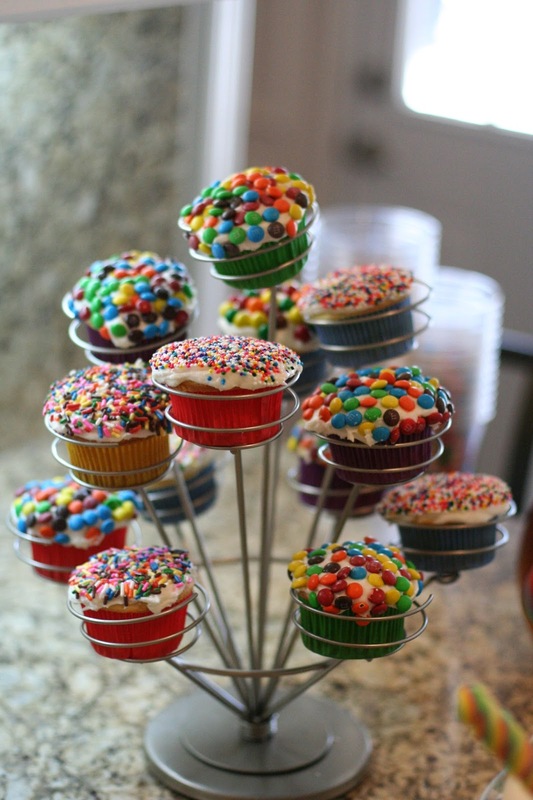 And besides, what sane woman who has three kids three and under would bother making her own birthday cake anyway? Yep, that would be my friend. The one who I’m fairly certain had told me she never worked with fondant before this attempt, and apparently couldn’t stop herself after making a three tier cake so she went ahead and made some adorable cupcakes too. They were delicious. And of course the REST of her home was filled with all sorts of fun little festive touches too. Here’s a peek at a few of them! Now, as much as I give my sweet friend a hard time for being perfect, it wasn’t all that long ago that she was living in the hospital full time while the rest of us prayed for the healthy delivery of her sweet little girls. What struck me the most during this party is that even through all of the adorable decorations, this was most certainly not just your typical birthday party. This was a true celebration of life, and of the gifts they have been given. I’m so grateful to have been there to celebrate with you, Hawkins Family! OH… and by the way, my amazing friend also owns her own business, Night Owl Yarn Designs! Be sure to check it out! 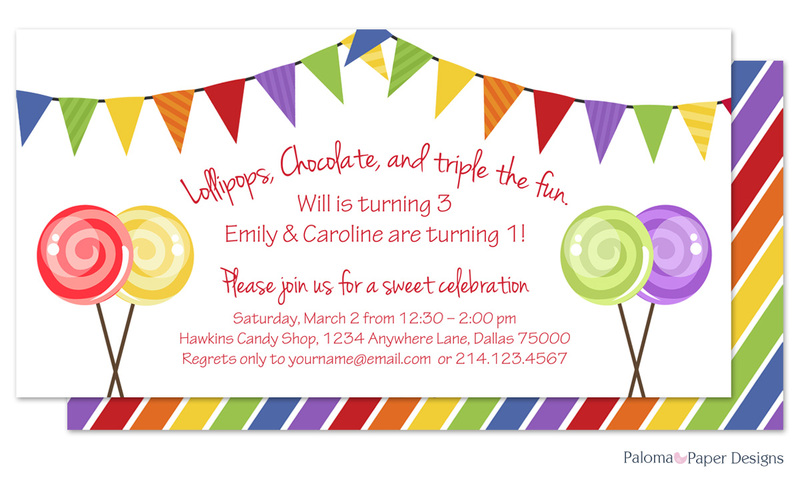 This entry was posted in Birthday Parties, Boy Birthday Parties, Girl Birthday Parties, Invitations and tagged Candy Bar, Candy Birthday Party, Candy Theme, Paloma Paper Designs by My Running Leap. Bookmark the permalink.